Take back the toy box once again, with Toy Soldiers: Cold War's two new DLC Packs. With the release of two new downloadable packs for Toy Soldiers: Cold War anyone that's played this game should be excited. Both of these mini expansions for this tower defencs game bring back all the great game play you loved in the first place and gives you new maps, new weapons and new vehicles to play in. Depending on what kind of experience you're looking for each of the packs have their own benefits and are sold separately for 400 Microsoft Points ($5) on XBLA. 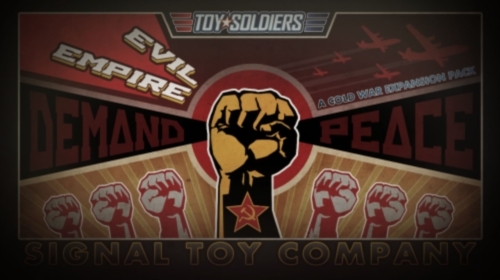 Evil Empire turns the tables as you take over the Soviets and lead your comrades against the American army. A few fun changes have been made to the commando barrage (who is now Ivan and yells things in what we can assume is Russian) and while the turrets are a slightly different design all the same familiar options and upgrades are there for you to use. The new barrage this pack adds is Orbital Laser. Thanks to the Soviet space station you are now equipped with, what is essentially, an instant kill ray that takes out everything it touches and sends your enemies flying through the air on fire. Another awesome addition to this game is a new survival mode level. Trauma takes defending the toy box beyond just your enemies; your weapons now work against you. Things get way more complicated with the friendly fire aspect thrown in. The mini-game, Pop-A-Pig, is whack-a-mole with a turret gun. It sounds cool and is for a few minutes but like most shooting games it's really just the same old speed and accuracy test. Sadly, the "new" Super Tank boss isn't really new at all. While the waves may be a little bit different it's really the same boss you faced in the main version of the game. It can take a while to kill but there wasn't anything too extraordinary about it. 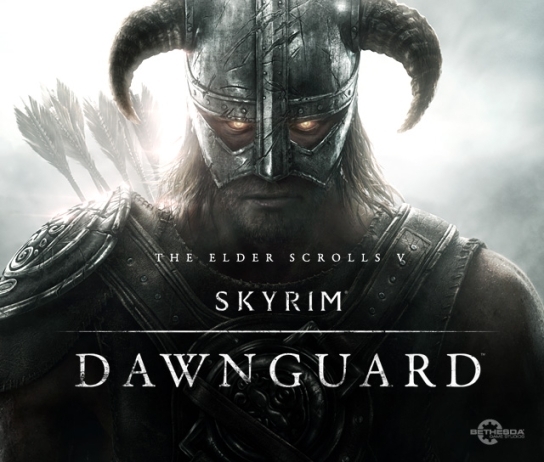 Skyrim's soon to be unveiled DLC now has a name: Dawnguard. This teaser image is, as of this writing, the only available information on the DLC. That said, this elusive content pack is purportedly further along in development than we may think, and is slated to be released sometime this summer. Dawnguard will be a timed exclusive on the Xbox 360. Expect further information, up to and including a full reveal, at E3 next month. NetherRealm's Mortal Kombat is preparing to welcome its third new downloadable character to its gory fighting game. Rain, who controls inclement weather, will drop lightning and drown opponents on July 19th. 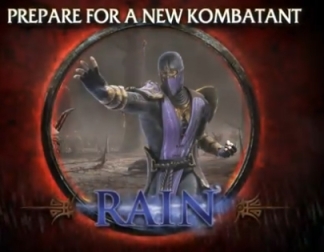 Rain was first spotted back in Ultimate Mortal Kombat 3. He is one of the many palette swapped fighters of the series. Fans will welcome his water sword and various other techniques to ruin opponents. Rain will hit PSN and Xbox Live Marketplace on July 19th for 400 Microsoft points or 5 dollars. Bethesda announced on their blog that they will be fixing the major lag issues of Brink's multiplayer, and as a nice 'we're sorry' gift they will be releasing the first DLC for the game absolutely free. The changes will effect Xbox players more than PC players because the PC version does not have nearly as many problems. Bethesda said this regarding the Xbox update, "This new configuration will allow those connecting to and hosting matches (particularly those with lower upstream bandwidth) to more reliably find and connect to quality hosts via the match-making process – resulting in less lag and more fun." The PC side will only see incremental updates via steam. Bethesda then announced that the first Brink DLC is planned for June and that it will be released free of charge as a treat for the great appreciation and support that they've received by their fans. The DLC will offer additional maps and new content for players. 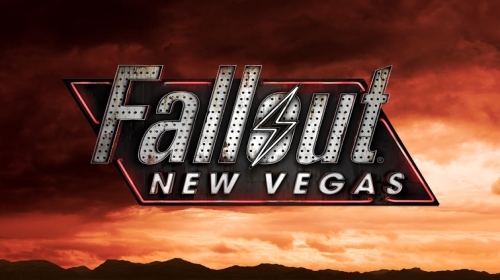 May June and July will be big months for Fallout fans because Bethesda announced the release of three more DLCs for Fallout: New Vegas. Playstation and PC players don't have to wait longer their Xbox owning friends because each DLC will be released for all systems simultaneousness. The three new DLCs are called Hones Hearts, Old World Blues, and Lonesome Road. In addition to this announcement their email also gave a few details on what each DLC will contain. Honest Hearts takes players on an expedition through in Utah's Zion National Park where the couriers caravan is ambushed by raiders. Players will be trying to find their way back to the Mojave, but along the way they'll encounter the Burning man, a legion traitor mentioned in Fallout: New Vegas. Honest Hearts will be released May 17.